We will be at the Penny Arcade Expo Australia this year (in an unofficial capacity, but with cards and tokens in tow). 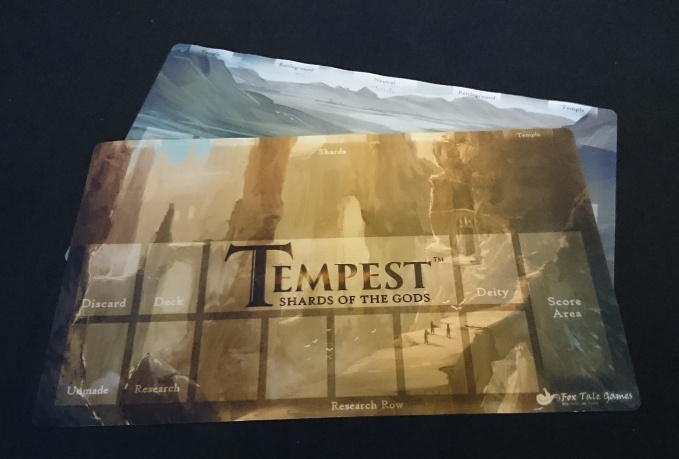 If you happen to be down in Melbourne this weekend and want a playtest of Tempest, send an email to shannon@foxtalegames.com and we will be happy to organise a time! Beautiful new playmats ready for testing.